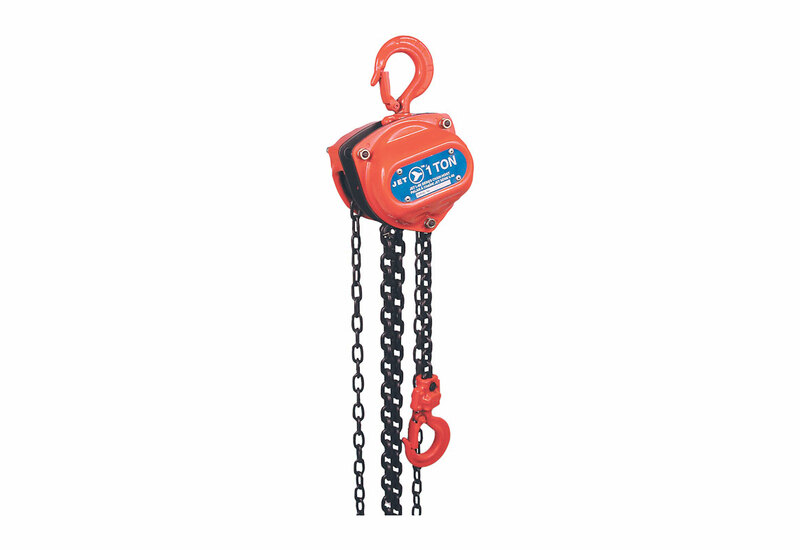 The JET 10’ Lift Super Heavy Duty Chain Hoist (101412) lifts 1 ton (2200 lbs. 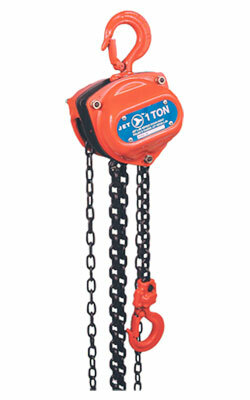 ), making it the strongest chain hoist available! Its exclusive Class V+ load chain is the world’s strongest grade, and it provides unparalleled safety for the most demanding applications. This chain hoist has the capacity to be unaffected by temperatures up to -40ºC with suitable Winter lubrication. It also was tested to 150% of rated capacity, and meets OSHA and ANSI B30.16 standards (certificate included) . There are non-asbestos wet friction brake discs that will not slip even when oil is present. The road sheave is built for long wear with uniform pockets for correct chain contact. The hoist's chrome molybdenum load gears give the tool for maximum strength and resistance to shock. Its drop forged hooks bend slowly to warn of overloads. The rolled edge on the hand wheel cover acts as a chain guide and allows smooth operation even when pulling the hand chain at an angle. The hoist's positive ratchet, screw and disc are completely enclosed to protect the brake mechanism. Rated Lifting Capacity: 2,200 lbs.